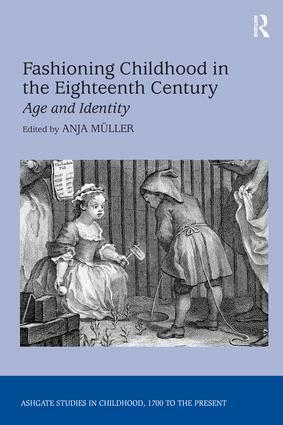 This innovative collection of essays re-examines conventional ideas of the history of childhood, exploring the child's increasing prominence in eighteenth-century discourse and the establishment of the category of age as a marker of social distinction alongside race, class and gender. While scholars often approach childhood within the context of a single nation, this collection takes a comparative approach, examining the child in British, German and French contexts and demonstrating the mutual influences between the Continent and Great Britain in the conceptualization of childhood. Covering a wide range of subjects, from scientific and educational discourses on the child and controversies over the child's legal status and leisure activities, to the child as artist and consumer, the essays shed light on well-known novels like Tristram Shandy and Tom Jones, as well as on less-familiar texts such as periodicals, medical writings, trial reports and schoolbooks. Articles on visual culture show how eighteenth-century discourses on childhood are reflected in representations of the child by illustrators and portraitists. The international group of contributors, including Peter Borsay, Patricia Crown, Bernadette Fort, Brigitte Glaser, Klaus Peter Jochum, Dorothy Johnson and Peter Sabor, represent the disciplines of history, literature and art and reflect the collection's commitment to interdisciplinarity. The volume's unique range of topics makes it essential reading for students and scholars concerned with the history and representation of childhood in eighteenth-century culture. Contents: Introduction, Anja MÃ¼ller. Part 1 Cultural Contexts: The doctor and the child: medical preservation and management of children in the 18th century, Adriana S. Benzaquén; Children as patients in German-speaking regions in the 18th century, Iris Ritzmann; Observing children in an early journal of psychology: Karl Philipp Moritz's (Know Thyself), Anthony Krupp; The legal status of children in 18th-century England, Anna-Christina Giovanopoulos; Children, adolescents and fashionable urban society in 18th-century England, Peter Borsay; The child in the visual culture of consumption 1790-1830, Patricia Crown; Locke's education or Rousseau's freedom: alternative socializations in modern societies, Christoph Houswitschka. Part 2 Literary and Visual Representations: Fashioning age and identity: childhood and the stages of life in 18th-century English periodicals, Anja MÃ¼ller; Engaging identity: portraits of children in late 18th-century European art, Dorothy Johnson; Greuze and the ideology of infant nursing in 18th-century France, Bernadette Fort; Childhood and juvenile delinquency in 18th-century Newgate Calendars, Uwe BÃ¶ker; Tales of miracle or lessons of morality? School editions of Ovid's Metamorphoses as a means of shaping the personalities of British schoolboys, Sonja Fielitz; Defoe's children, Klaus Peter Jochum; Fictionalizing foundlings: social tradition and change in Henry Fielding's Tom Jones, Jan Hollm; Winding up the clock: the conception and birth of Tristram Shandy, Dirk Vanderbeke; Gendered childhoods: on the discursive formation of young females in the 18th century, Brigitte Glaser; Fashioning the child author: reading Jane Austen's juvenilia, Peter Sabor. Bibliography; Index.